These will be updated from time to time. 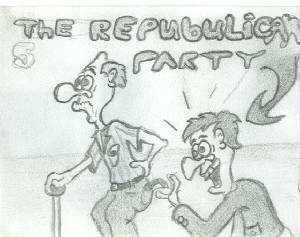 These are hand drawn cartoons that i attempt, some are political and others are just ideas in my head. Maniac is a recurring character here at Jag Lair. Hes kind of a violent guy who solves his problems in a way. 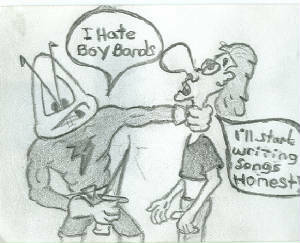 Hers Maniac shows how much he dislikes boy bands. 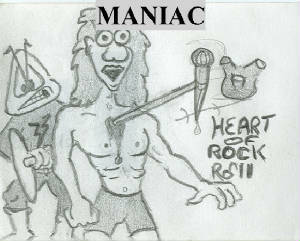 Maniac really hates crappy punk rock that is more corporate the anything. 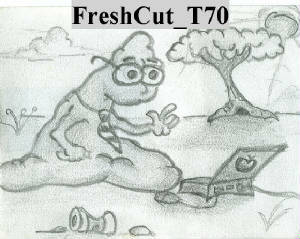 This is me in cartoon form though i don't use a MAC. 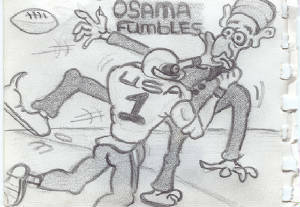 This was my reaction to the U.S going and taking out Al Qaeda.